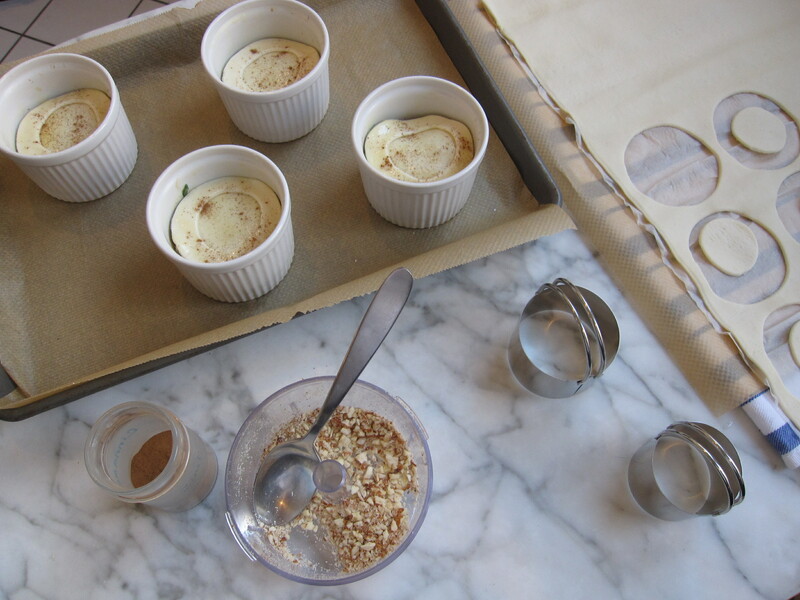 As I’m guessing anyone reading this knows, I created this blog in order to participate in French Fridays with Dorie, an online group of home cooks tackling the recipes in Dorie Greenspan’s Around my French Table, one week and one recipe at a time. As one of the less experienced cooks in the group, my approach has been to treat this project as a learning experience, and with this in mind, my general rule has been to stick to Dorie’s recipe the first time through. Not because I am opposed to experimentation, but because I figure Dorie’s been in the kitchen a heck of a lot longer than I have and I figure that I should give her version (or her Bonne Idees) a try before venturing off on my own. That’s not to say that I can’t make a substitution here and there when the pantry dictates it, but again, just my general rule. Well, that was the plan anyway, and I’m sure you all know what they say about the best laid plans! Since I joined the group a few months late I am still catching up with some of the recipes which were completed before I threw my hat in the ring, and this week’s catch up recipe is Chicken b’Stilla. According to Dorie, Chicken b’Stilla is a popular Moroccan dish, somewhat similar to an american chicken pot pie. In this dish, a spiced chicken filling is wrapped in crispy phyllo dough and is meant to be eaten with your hands. Only trick is that Dorie says that it does not store very well, and since there are only two of us, I decided to cut the recipe in half and make little mini pies. Which is not changing the recipe exactly, just cutting it down to a manageable size. To start, this is decidedly NOT a quick meal which you can throw together after work. In fact, I actually spread the work out over 3 days. Day 3: wrap the filling in phyllo dough and…. oops! After over 4 years in Germany the language still occasionally trips me up and it turns out that instead of buying phyllo dough at the grocery store, I accidentally bought puff pastry. Of course I didn’t actually notice this until I was getting ready to assemble the dish, at which point it was too late to run to the store to correct my error. Grrr, now what? Guess my only choice was to modify this recipe after all. So, on day 3 I filled ramekins with my chicken mixture and toped them with puff pastry. In the end my chicken b’almost stilla was very tasty, though I’m not sure I would have impressed any Moroccan cooks with it. 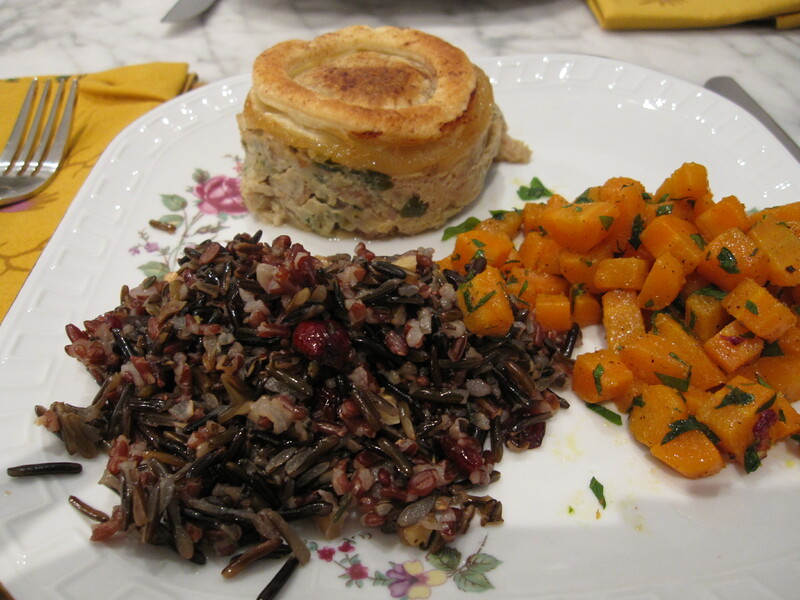 I served it with a side of wild rice, and a simple but tasty recipe for Carrots with Moroccan Spices, which I found on a lovely blog called Halal Mama. My husband and I both enjoyed our meal, but I did warn him in advance not to enjoy it too much, because this is not a dish I can see preparing very often due to the onerous prep time. Though I do still want to try the recipe as Dorie intended, so who knows, maybe I’ll give it another try sooner than expected. This entry was posted in french fridays with dorie and tagged Around my French Table, main course, poultry. Bookmark the permalink. Your little individual servings are adorable! I thought this one was tasty, but will never make it again, due to the work involved. Especially once filo dough gets involved. Oy. Glad you guys liked it, since it IS so much work. That’s the worst, when you put all the effort in, then hate it. Agreed, that’s why I was SO annoyed when I discovered my mistake; I had already invested two days of work and thought I had blown it by buying the wrong thing. Luckily it came out tasty in the end. I love the individual servings…and topping them with puff pastry sounds darned good! I missed this one, too…and I know I’d have to alter the spices a lot for my family to enjoy. But I should give it a shot! I actually didn’t find the spices to be too overwhelming, they gave it a subtle north african flavor, but certainly were not dominant. We liked it and it is worth trying since it is so different from the usual dinner routine. Your mini b’stilla in ramekins was a great idea! I actually enjoyed the filling more than the overall dish. I could’ve done without the phyllo dough. Thanks, I thought the filling was very tasty as well and had to stop myself from eating too much of it before I got to preparing the actual dish. 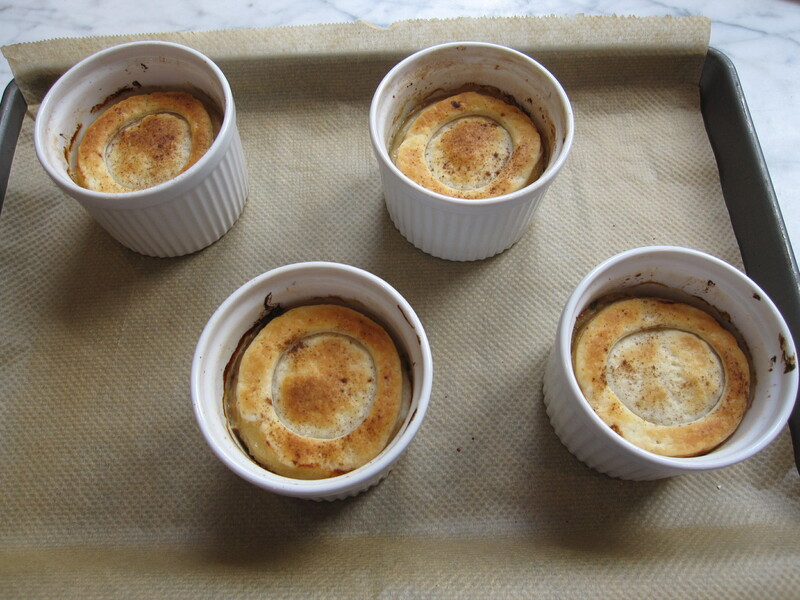 Your little mini-pies are so cute, and it looks delicious with the puff pastry! In fact, the whole meal looks good; you chose perfect accompaniments. I love your verision of the chicken b’stilla! The individual portions are perfect and I really like the puffed pastry look. Mmm…I would love to make this again. So did you love this one? 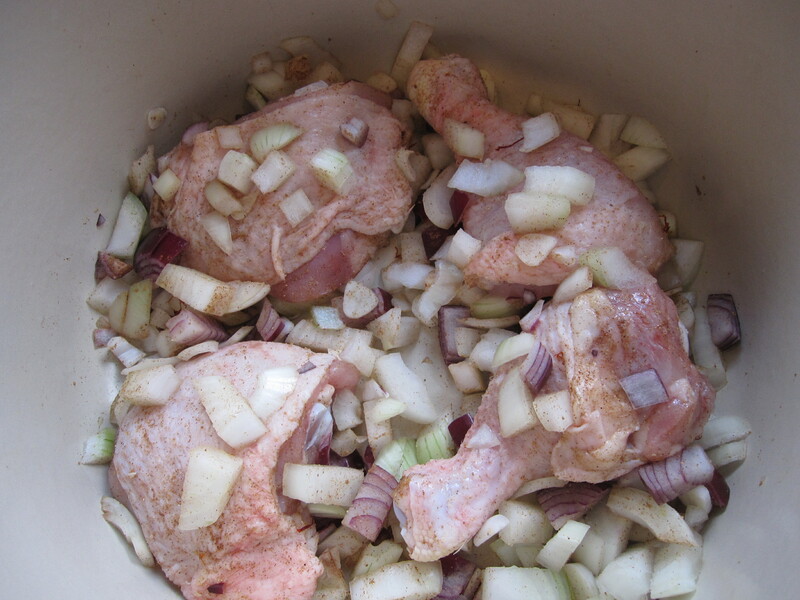 As you already know, I’m not kindred spirits with chicken b’stilla…. I like that you tried this in mini sizes! Did you put the almonds in it too? 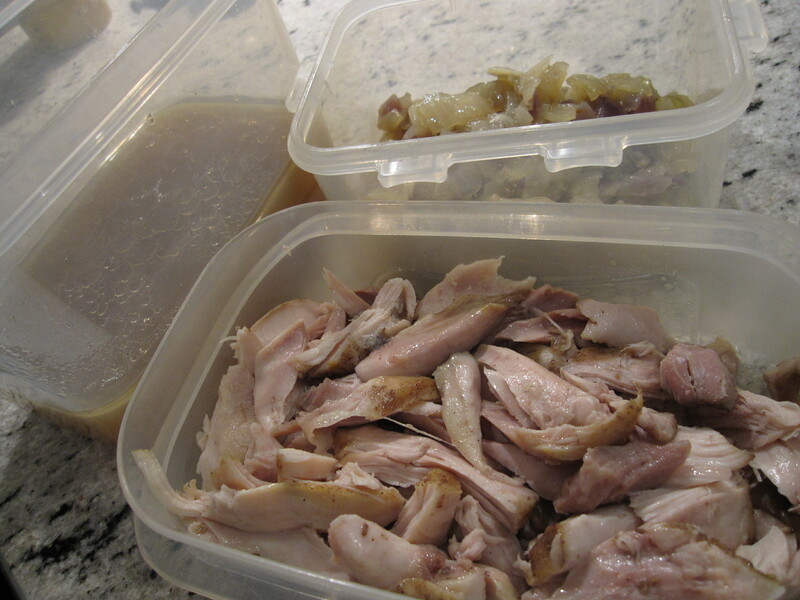 I have four general categories which I use to grade recipes: (1) good – would make it again, (2) good – but too much work, (3) meh, and finally (4) fail – meaning that I did something wrong and the recipe cannot be blamed. Chicken b’stilla fell squarely into the second category. 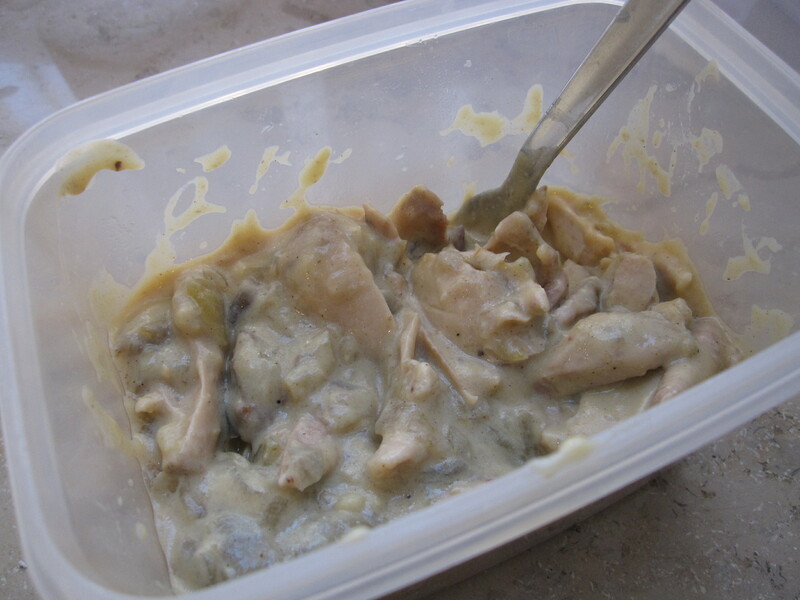 I liked it, it was in fact quite tasty, but way too much work and it is unlikely that I would make it again. As for the almonds, I did use them, but in trying to cut down the recipe I think I ended up using less than were called for. They were not a dominant flavor in mine.